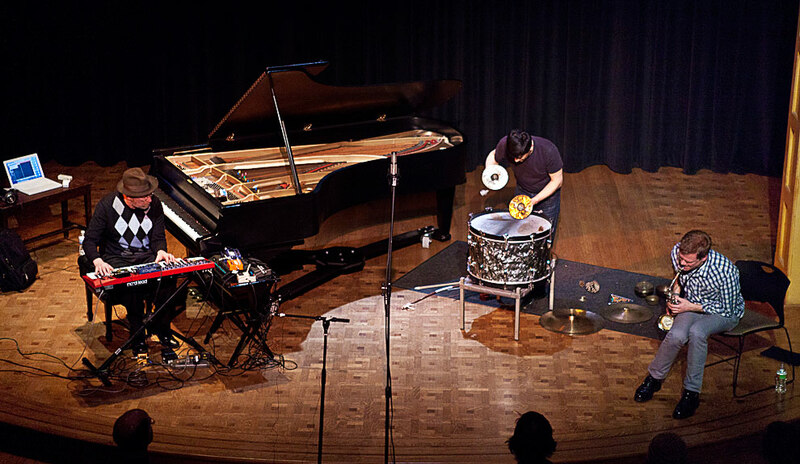 Another view of the Wayne Horvitz, Briggan Krauss, and Lê Quan concert from last week at The Chapel Performance Space at Good Shepher Center Thursday night as the Earshot Jazz Spring Series continues. 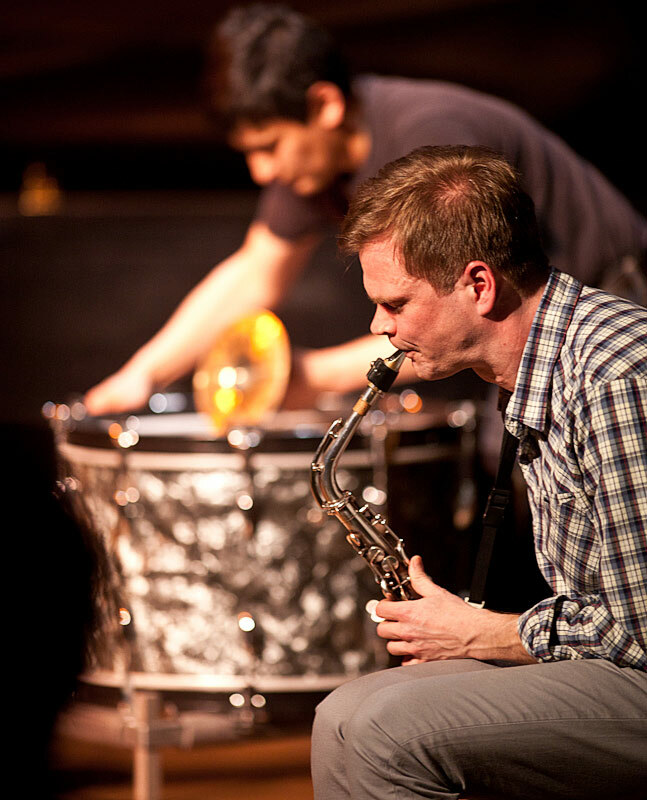 Keyboardist Wayne Horvitz, tenor saxophonist Briggan Krauss, and percussionist Lê Quan Ninh, make up a diverse and crackling trio. Their set sparked and crackled with energy and yet I loved the quiet spaces setting it off. The band was perfectly suited for the intimate Chapel Performance Space. Jazz Photography by Seattle photographer Daniel Sheehan who covers jazz performances, and creates portrait photography for publications and corporations and a Seattle Wedding Photographer , a wedding photographer with an artistic photojournalist style. At EyeShotPhotos, see more work from this Seattle Photographer.